Last week, my son’s music teacher approached parents like me – parents with kids who love playing music and performing for others- with what he thought would be a big imposition. Would I mind picking up my child plus a few of their bandmates – and their instruments – at school and driving them around town on a December afternoon to play two different gigs? Ever since the beginning of the school year, my son leaves the house at 6:15 on Monday and Tuesday mornings to make a 6:30 jazz band rehearsal. That’s A.M. That’s ungodly early for most and even harder for teen musicians. But this is a dedicated bunch. And now they would have the opportunity to bring some Christmas joy through music to the Baldwin House in Birmingham and then play the lobby of the Beaumont Hospital in Royal Oak. Of course, to me, wearing my Jewish goggles, this was the perfect opportunity for me to help my son and his bandmates perform a Christmas mitzvah. So, with my car loaded with six kids, a guitar, sax, bass, and I think a few brass instruments, we were off. The Bloomfield HS Hills Jazz Band as well as the Bloomfield Hills HS String Ensemble alternatively played traditional and contemporary Christmas music to the delight of the residents of the Baldwin House. They came in walking, or with their walkers to take in the sweet strings and the bright jazz tunes. The only musician they could not hear, was my son. Unfortunately, his guitar amp adapter fried out somewhere between the school and the gig. And in the middle of the gig, while the strings played we had the following text conversation. Mom, can you see if there is a music store nearby to buy me a new adapter? Yes, my adapter died and no one can hear me. Sorry, but there is no way I can do that right now. You should have checked this before we left the house. Again, I’m sorry there is nothing I can do for you now. Stop fiddling with your amp and stand up. You are performing. But, they can’t hear me. Fake it. The show must go on. So, in this video, you may or may not see a young man on the floor fiddling with his amp and then at the last moment stand up and pretend to play his guitar. In between gigs, after we loaded up the car with kids and instruments, I did have time to stop and buy some batteries to power his next guitar. I turned instantly from a villan into a hero. They were now playing the big room: the lobby at Beumont Hospital in Royal Oak. Weary doctors and nurses and technicians stopped from their rounds to take a listen. Some caregivers of patients even started dancing in the lobby. The afternoon gave me the opportunity to socialize with other roadie parents who had devoted the afternoon to driving and listening. One mom of a senior cello player told me that she was getting some ridicule for letting her son consider pursuing music in college. But she said music, and playing the cello is the one thing in school that holds his passion and attention. As I listened and sipped a cup of coffee from the hospital cafeteria, I thought how lucky my son is to be in a school with such a great music program that thinks “outside the school,” to allow them to play in public places. I also thought about the kids just down the road in Detroit, who may not have a music program in their school. Because when it comes to tight budgets, music is seen as frivolous. A luxury that poorly performing schools with low testing students cannot afford. The last sentence is the farthest thing from the truth. I ask those who wish to cut music in schools: can common core make people want to dance? Want to make kids come to school at 6:30 in the morning? Can common core bring joy to a hospital or an assisted living facility the way music can? This is my final post for 2013. I invite you to listen to these talented young musicians playing some holiday joy. Thank you for following my blog, for reading me and for writing to me. A menorah, no matter how big, even the ones that the Chabad Lubavich movement lights, just can’t compete with the smell of fresh pine, the twinkling lights and the tinsel to a Jewish kid on Staten Island. I even had my secret Christmas tree fantasies. If I ever had a Christmas tree, it would be simple: just candy canes and white lights would hang off the branches of the Christmas tree of my dreams. And it would only be in my dreams, because I knew very well that there is no such thing as a Chanukkah bush. I did have childhood associations with Sukkot, the eight-day autumn festival of Booths, because of Hebrew school. I made the standard paper sukkah chains and ate within the large sukkah of my synagogue. In fact, the first time I was ever asked on a date was in a sukkah. 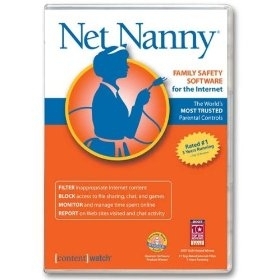 It was in the seventh grade and a classmate asked me to go roller skating at Skate Odyesy as our teacher, on Orthodox rabbi, continually shushed us as he attempted to recite kiddush, the blessing over the grape juice. But because my family didn’t build a sukkah of our own, the holiday still felt remote to me. I didn’t have a sukkah to eat my bowl of breakfast cereal in, or sleep in. Now, in adulthood, my family enjoys putting up a sukkah every autmn, and we have done so for eleven years. And because we have a family sukkah, I can now say why this celebration, one of the major holidays on the Jewish calendar, blows that overblown attention we give to that other holiday in December right out of the water. Why? 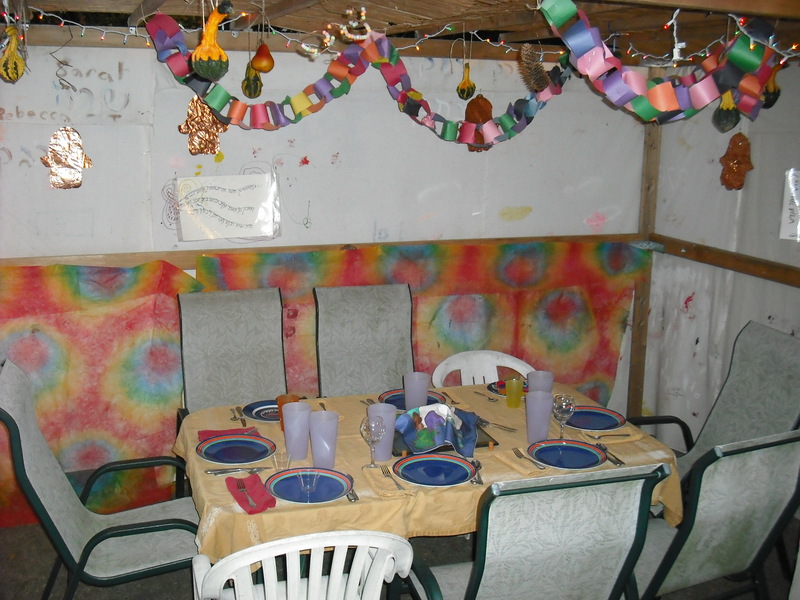 Because a sukkah fulfills the Jewish Americans’ need to decorate a large, religious object with branches and lights and have social gatherings within or around it. Sukkot is known in Hebrew as one of the “three legs” of Jewish holidays, one of the three times of the year when the ancient Israelites were commanded to make a pilgrimage by foot to Jerusalem. Imagine Israelites building one of these temporary huts and sleeping in their fields under a harvest moon. This same harvest moon shines through the roof of our family sukkah on the first few nights as we feast and sing. After a month of self scrutiny, asking for forgiveness, and finally, fasting on Yom Kippur, sitting within the walls of a sukkah is like getting a hug from God and feeling His forgiveness, as one Chabad rabbi in my college years so eloquently explained it. In my neighborhood, Sukkot is all around us. As we are finishing up our meal of brisket and sweet potatoes, our neighbor, an Orthodox rabbi, is starting his meal with his family within their sukkah. We can hear his voice as he joyfully sings the kiddush as we clear off our table. This is followed by the clanking of plates and the laughter of his grandchildren as they dine. This coming outside to eat, either in these formal meals or sukkah hopping later in the week may be the last chance we get before the long Rochester winter, makes our neighborhood just feel more neighborly. How is a sukkah not like a Christmas tree? For one thing, Jews are commanded by God in Torah to build one to remind us of the booths that the Israelites lived in during their wandering in the desert after we were freed from Egypt. Plain and simple, it’s a mitzvah just to sit in a sukkah. I still don’t understand if there is a religious connection between a tree and the birth of Jesus, but I’d be happy to learn how this tradition got started. So, now that it is December, I still admire Christmas trees, but with a knowledge and experience that the Jewish people have our time of year for our big celebrations with something to decorate and gather in. Come this Christmas, don’t feel bad for the Jewish people who have no Christmas tree. Instead, feel bad for the Jewish people who have not yet built, or ate, or slept, or dwelt in a Sukkah, back in September.